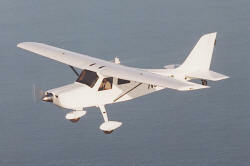 First flown in January 1996, the Comp Air 6 featured seating for up to 6 people. It's available with wheels (tricycle or tail-dragger), floats, or skis. The Comp Air 6 is an efficient, economical cross-country cruising machine for pleasure or business. It will provide cruise speeds from 150 to 200 mph.